KPFA Weekend News Anchor Loula Acamu: In a Friday interview with The Wall Street Journal, Donald Trump repeated his campaign criticism of U.S. wars in the Middle East and said that he would focus on defeating the Islamic State in Syria and finding common ground with the Syrians and their Russian backers. KPFA’s Ann Garrison filed this report. James Woolsey, President Bill Clinton’s CIA director, is now President-elect Donald Trump’s top national security advisor. He’s a key member of the neoconservative Project for a New American Century (PNAC). Donald Trump: You could make the case, if you look at Libya, look at what we did there – it’s a mess – if you look at Saddam Hussein with Iraq, look what we did there – it’s a mess – it’s going to be same thing. CT: – the Middle East would be safer? CT: So, it’d be better off if Saddam were in charge? 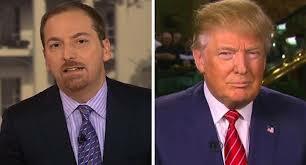 DT: Don’t forget: ISIS came out of Iraq. CT: Right. No, I understand. DT: – the leftovers that didn’t get taken care of. CT: Well, let me button this up. If Saddam and Qaddafi [were still in power], you think things would be more stable? DT: Of course it would be. You wouldn’t have had your Benghazi situation, which is one thing which was just a terrible situation. But, of course, it would. Libya is – is not even – nobody even knows what’s going on over there. It’s not even a country anymore. CT: So you welcome Putin’s involvement. DT: I like that Putin is bombing the hell out of ISIS – and it’s going to be ISIS. I’ll tell you why. Putin has to get rid of ISIS because Putin doesn’t want ISIS coming into Russia. CT: Why do you trust him and nobody else does? DT: – of all things? CT: – there you go. DT: Right? So, I don’t know. Did I get the ratings or did he? But the truth – it’s not a question of trust. I don’t want to see the United States – we’ve spent now – we’ve spent $2 trillion in Iraq, probably a trillion in Afghanistan. We’re in the – we’re destroying our country. We owe $19 trillion. We’re bogged down. Russia was bogged down in Afghanistan, meaning the Soviet Union. It broke up the Soviet Union. KPFA: Trump’s argument, which some called “isolationist,” encouraged voters hoping to ease global tensions and avoid another world war that might include a nuclear exchange. However, investigative journalist Joyce Nelson writes, in Counterpunch, that Trump’s October appointment of former CIA director James Woolsey as his senior advisor on national security issues is less promising. 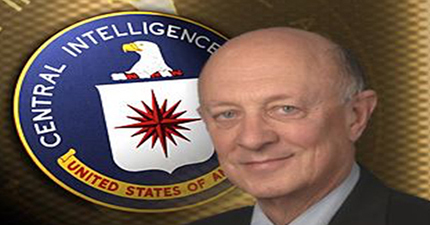 Woolsey was a key member of the neo-conservative Project for a New American Century (PNAC) and an advocate of invading Iraq and other Middle Eastern nations. Nelson, like the Intercept, asks whether Woolsey’s appointment represents a conflict with Trump’s non-interventionist rhetoric or a plan to abandon it. Nelson also notes that Woolsey’s investments put him into a position to profit from the wars he promoted, and that he has interests in Genie Energy, Ltd., a U.S. oil and gas firm with exploration rights in the Golan Heights. 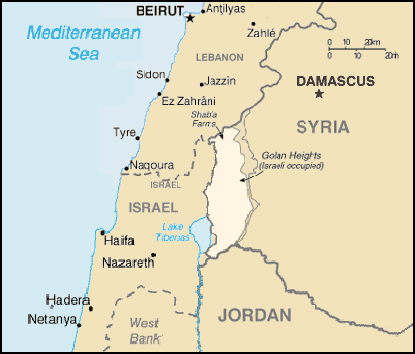 Israel seized the Golan Heights from Syria in the 1967 Six-Day War, and Syria attempted to reclaim them in the 1973 Yom Kippur War. In 1981, the U.N. Security Council passed Resolution 242, which declared that Israel must withdraw from all lands occupied in the 1967 war, including the Golan Heights, but Israel has refused to heed the resolution. Both the politics and the material interests of Trump’s top national security advisor therefore seem counter to Trump’s anti-interventionist stance regarding Syria. There are few reasons for which he has been selected as a president of America and I am pretty sure everyone is aware with that. So whatever he has been doing is for the sake of this country. Yay! Now you will be able to get as much free FIFA 18 coins and points for your Xbox, PlayStation and PC as you want! Simply use the FIFA 18 Hack now! Get your Xbox Live Gold Codes here. Finally, we have made a good working generator for free Free Xbox Live Codes. Video games are a wonderful way for children to have fun, but sometimes games can come with hidden dangers. Some games offer content that is not appropriate for their ages. To prevent them from getting their hands on these games, you as a parent have to step in, and the following article will show you how to do just that.